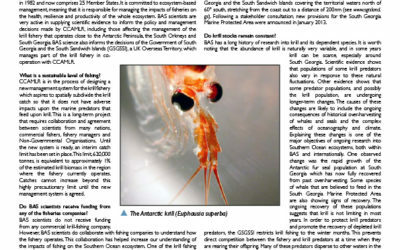 Modern fisheries in the Southern Ocean and nearby seas take various species of krill. Krill is a Norwegian word meaning whale food, and indicates the importance of this species in the ecosystem. 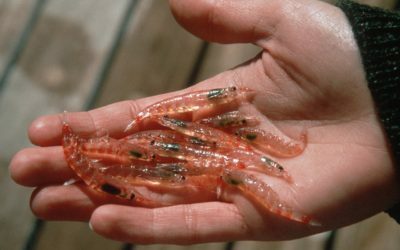 Krill (Euphausia superba) are small, shrimp-like animals that grow up to about 6cm in length and live for up to five years. These are some of the largest members of the plankton. In fact, because they swim so well some people think they are more like little fish than drifting plankton. The krill usually live in dense swarms that may have more than 10,000 krill in each cubic metre of water. 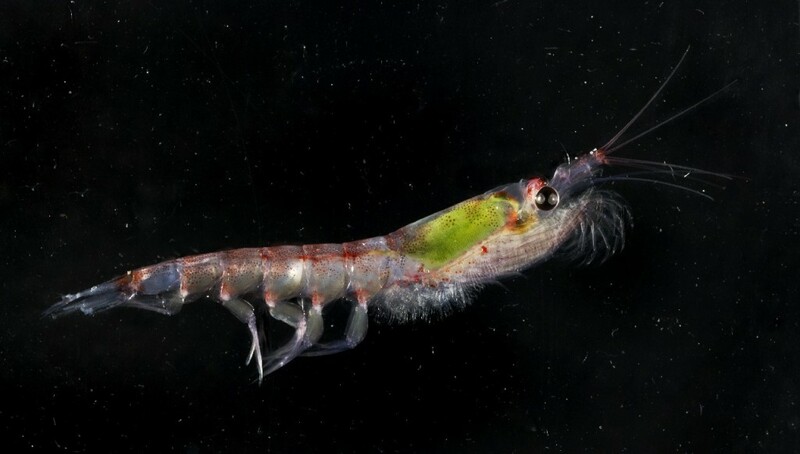 Krill swarms may be quite small, just a few metres long. Occasionally, though, swarms go on for miles and miles and contain thousands of tonnes of krill. 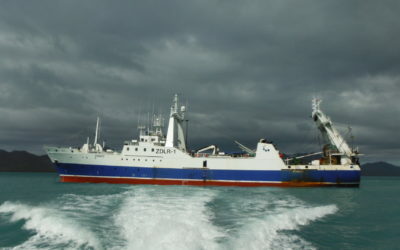 The Southern Ocean food web is relatively simple, with krill the major item in the diet of many of the predators: fish and squid, penguins, whales and seals. 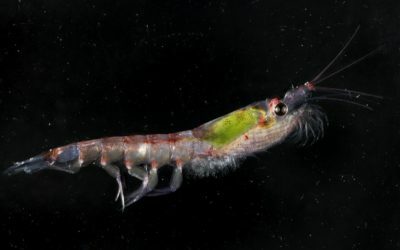 The developing fishery for krill raised an important conservation issue that is being addressed by the Commission for the Conservation of Antarctic Marine Living Resources (CCAMLR).